Sales enablement helps members of the sales team make more data-driven decisions. Here is how to create your first strategy. Sales enablement has become an increasingly popular tactic for improving sales team performance and increasing revenue. When sales reps are equipped with the tools and knowledge necessary to increase their productivity, make better decisions, and close more leads, everyone wins! In fact, companies with best-in-class sales enablement strategies see 84 percent of their sales reps reaching their quotas. So what makes a sales enablement strategy successful? Companies that actively use data show 50 percent higher revenue growth than companies that don’t. The power of data is abundantly clear, but why is it so powerful to a sales enablement strategy? Data has become one of the most powerful drivers behind the sales process, meaning having visibility into such data can have a number of crucial benefits for a sales team. With insights into sales metrics, sales leaders can spend less time working with the numbers and more time leading their sales teams. Sales reps gain a better understanding of the sales process, which, in turn, enables them to increase their efficiency. With access to customized reports, sales teams can see where their weaknesses and strengths lie, allowing everyone to improve where they need to and continue with what’s being done right. Using a data-driven sales enablement strategy could be compared to driving in a snowstorm: The drive becomes a lot easier when you have the tools in place to see things clearly. Understanding why data is crucial is one thing, but using the data to boost revenue is an entirely different ballpark. If you plan on using data in your sales enablement strategy, it’s vital that everyone understands how this data can be translated into useful information and how to use it to your company’s advantage. Capturing the right data will generate insights that allow your sales reps to close more deals much faster—so capturing that data is the first step in the entire process. Having the right tools in place allows sales reps to quickly input data points during each stage of the sale pipeline. To make things even easier, automated action prompts remind reps to enter data points, ensuring more data (and the right) data is easily collected. Understanding what all these data mean can be confusing. That’s why sales coaches must have open conversations with sales reps regarding the data that’s been collected and how it can improve their performance. For instance, perhaps the numbers show that leads from one source close faster than leads from another—what does this mean to the sales rep and how can they use the information to optimize leads from all sources? If sales coaches don’t use the data, reps will have a hard time asking the right questions and translating data points into clear observations. Believe it or not, some sales reps aren’t given access to sales reports. However, this information is vital when it comes to tracking progress, making smarter decisions, and reaching goals. You’ve worked so hard to collect this data, it’s imperative that sales reps have it so they can make improvements and grow. When sales reps are able to see sales goals, forecasts, and call outcomes, they’re better equipped with the tools and information they need to succeed. A data-driven sales enablement strategy is key to improving sales reps’ performances and increasing revenue for your company. Remember: In order to be successful, you must capture the data, coach with the data, and share the data! 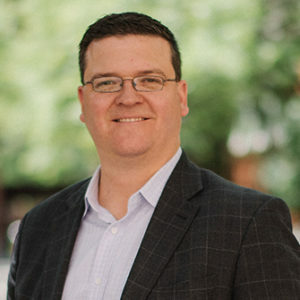 Matthew Cook Matthew Cook is a serial entrepreneur and has over 20 years of sales and management experience in inbound sales and marketing and recruitment. As the founder of SalesHub, he helps companies generate leads, boost revenue, and adapt to the new way customers buy.